PureSoftware, a leading software consulting and IT services company, today announced that it has been recognized with the Technoviti 2017 Award by Banking Frontiers. 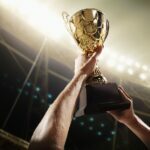 PureSoftware was recognized for Key Innovations in the Fintech Space. 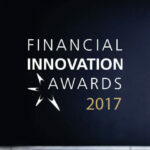 The award for key innovations in the Fintech Space is given to the company that has done key innovation, investments significantly in R&D, and committed to advancing the industry. There were close to 30 nominations and after two rounds of evaluation, judged by an eminent jury of 15 bankers, Arttha was chosen as one of the key innovations in the Fintech space. Technoviti as a platform helps the BFSI fraternity to understand the technology innovation that can be the game changer and at the same time give the innovators a platform to share their innovations with the technology buyers who make the difference. “This win is a testament to our professionalism, focus, capabilities, and knowledge we have had in banking and financial domain in helping our customers to achieve success in meeting business outcomes,” said Anil Baid, President, and CSO, PureSoftware. 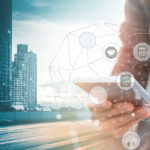 “We will continue to invest in next-generation digital banking to enhance business operations and deliver desired outcomes. This award reaffirms quality of the PureSoftware solution, our skill, and experience to understand the business gaps and develop a technology solution to meet ongoing requirements for providing business services. Moreover, it demonstrates our commitment to our vision to provide innovative solutions and remain relevant in dynamic business environment”. These awards are organized by Banking Frontiers, a premier publication, for the Banking Sector. TECHNOVITI 2017 is the only platform to showcase promising innovations that remain hidden for various reasons or technologies that can help implement disruptive strategies. This is an annual event and this year it was hosted in Mumbai. The event is attended by CIOs & CTOs from the banking and financial services Sector, Heads of Sales & Marketing of technology companies, Heads of Research, Innovations & Technology in the IT sector, IT companies providing services to the BFSI sector, Business Heads across Retail, Alternate Channels, HR, Heads of Financial Inclusion, Rural Banking, and SMEs. Pure Software, CMM Level 4 certified, is a leading software consulting and IT services organization with a global presence. PureSoftware with its well-defined process, talent pool and experience has been able to provide accelerated growth to businesses in key verticals including Financial Services, Life Sciences, Hi-Tech, Telecom, and Gaming. PureSoftware as a technology partner has been able to achieve this by optimizing client’s software investments and by managing their critical business processes, to reduce the total cost of software ownership.